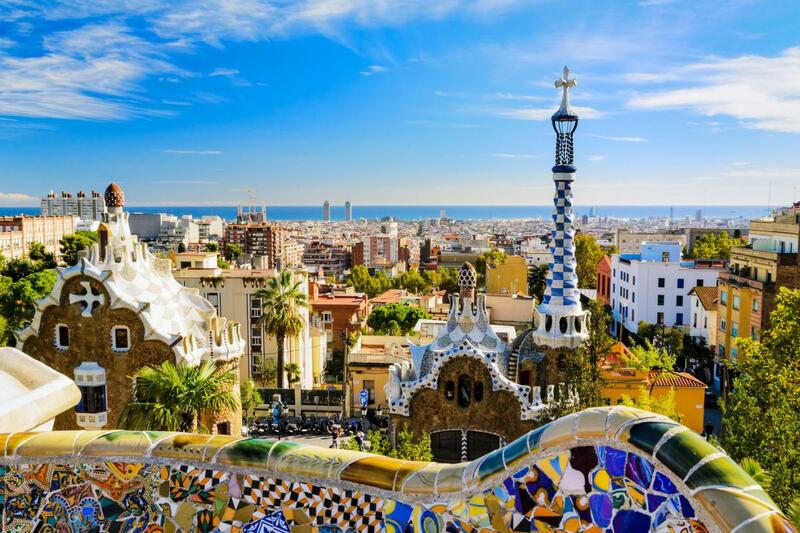 Far from being just a park, Park Güell is a symbol of Barcelona where nature and design blend together and create an awe-inspiring site inside the city. 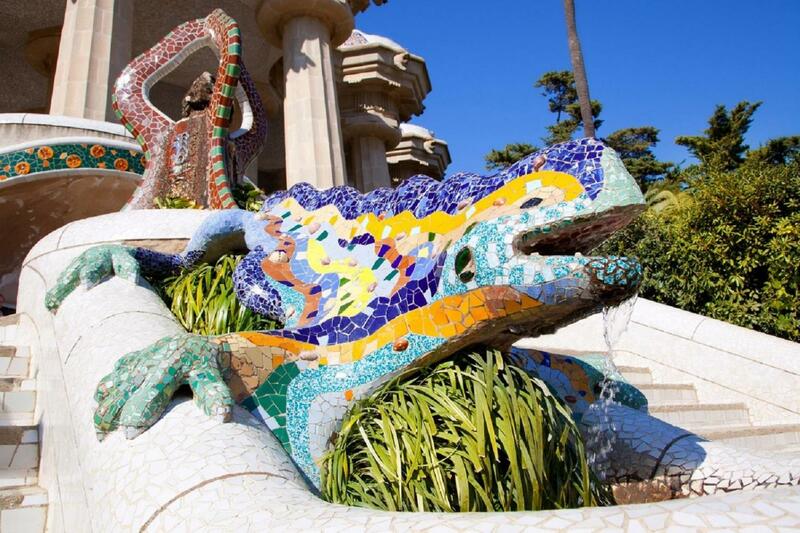 A twin flight stairway and the dragon decorated with mosaic of ceramic tiles, the Catalan style known as Trencadís, welcome the visitors once in the park and are a key representative of Gaudí’s work. Walk up the twin flight stairway and you will get to the Hypostyle room. An astonishing crafted interior composed of 86 columns of Doric order which remind of trees will discover you an inner world plenty of details on the main hall. Monolingual or Bilingual Official guide, please check our schedule. 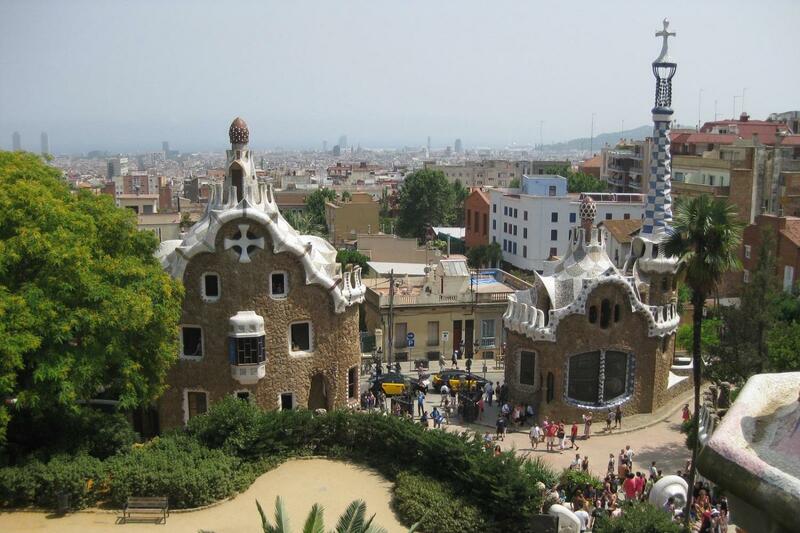 Entrance and guided visit to Park Güell. 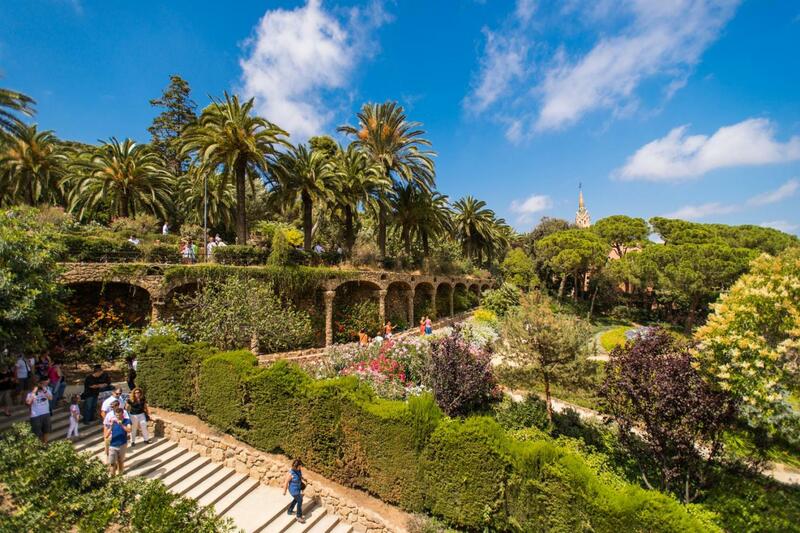 Entrance fee and guided visit in Park Güell. 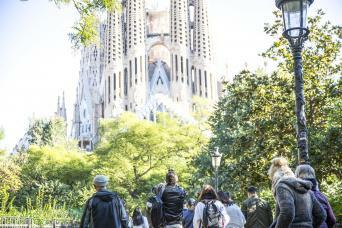 This tour starts from Gaudí Experience, Larrard Street, 41. Print your voucher and give it to your guide at the meeting point. Please be there at least 15 minutes before the tour begins. 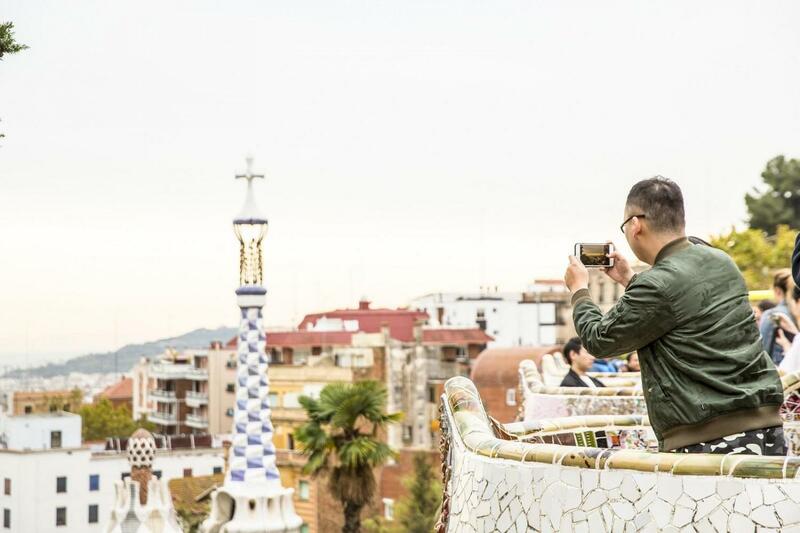 Located at the upper part of Barcelona with incredible views of the city, we find Park Güell, one of the most emblematic works of the architect Antoni Gaudí. The Park has been declared World Heritage Site by the UNESCO in the 1984. 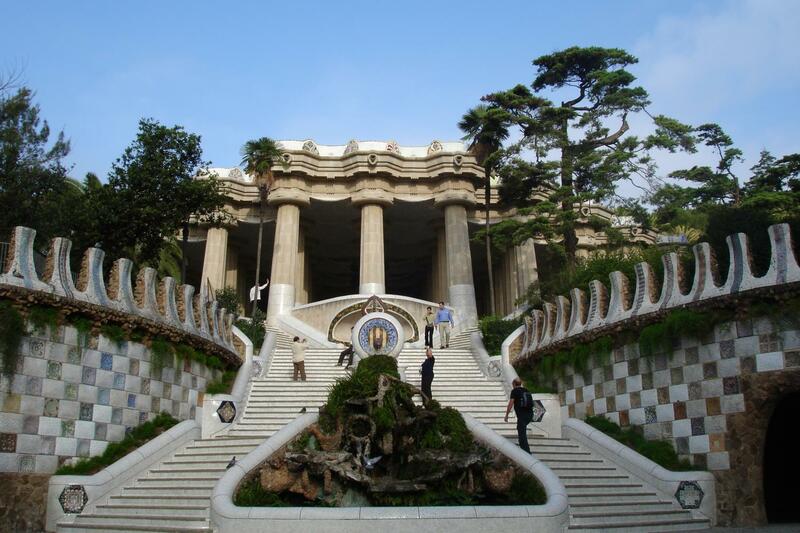 The original project was meant to be an urbanization, ordered by the Catalan entrepreneur Eusebi Güell, it was finally inaugurated as a public park in 1926. 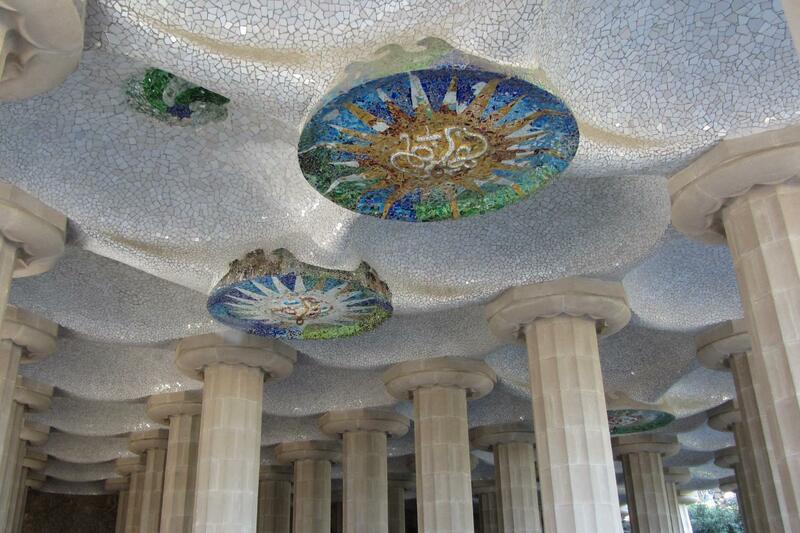 In this work Gaudí displayed all his creative talent with a naturalistic and organic style with the aim to achieve a perfect integration of architecture and nature. We will admire how the architect handles one of his favorite techniques, the “trencadís”, omnipresent in all his creations. 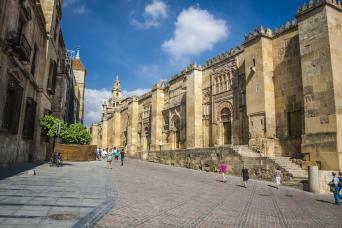 Be ready to discover all the secrets hidden in this park through the explanations of our guides!